Over the Post. Can be used for 41mm 0r 32mm spindles. 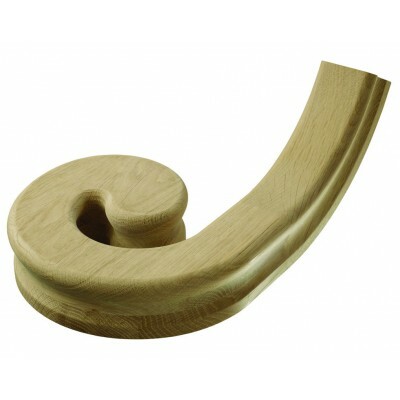 Trademark left hand volute manufactured from quality white oak. Suitable for continuous over-the-post handrail system. Fits 32mm and 41mm spindles.